Let your favourite people choose their favourite champagnes, wines and spirits. 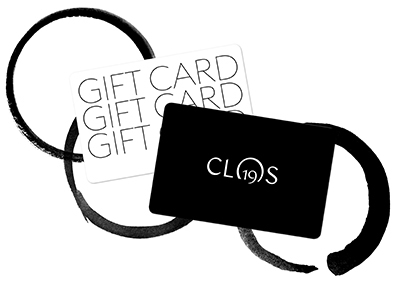 Gift cards are valid for two years and can be redeemed against on Clos19.com/en-gb. Please read the terms & conditions for all information including eligible purchases. Send it straight to their inbox or to yourself, to print at home. Beautifully presented, with a personal message, delivered to them or to you. Because sometimes the old ways are the best. Add their name and write them a little note. We'll email your gift card straight to their inbox – or to yours, if you prefer to print and hand-deliver. You can send it straightaway, or choose a later date. If you'd like to invite friends to contribute, choose to send your gift card at a later date. When you've completed your payment, we'll send you order confirmation and a link to share with friends. That way, you can all contribute right up until the date on which the card is sent. Select an amount or enter your own between £50 and £1000. You will be redirected to a secure payment page. If you need any help, please email us at contact@clos19.com or call 0207 887 2755.